Cargo trucks, box trucks, cargo vans — these essential vehicles exist everywhere on our roads and are responsible for the delivery of our goods. These oversized powerful vehicles go by many names and fall under the category of large commercial vehicles — trucks and vans carrying cargo and goods for companies and individuals across the USA. When a collision occurs, debris can be a real issue, freeways often get completely shut down, and victims involved in these crashes deal with tough injuries and even the wrongful death of loved ones. 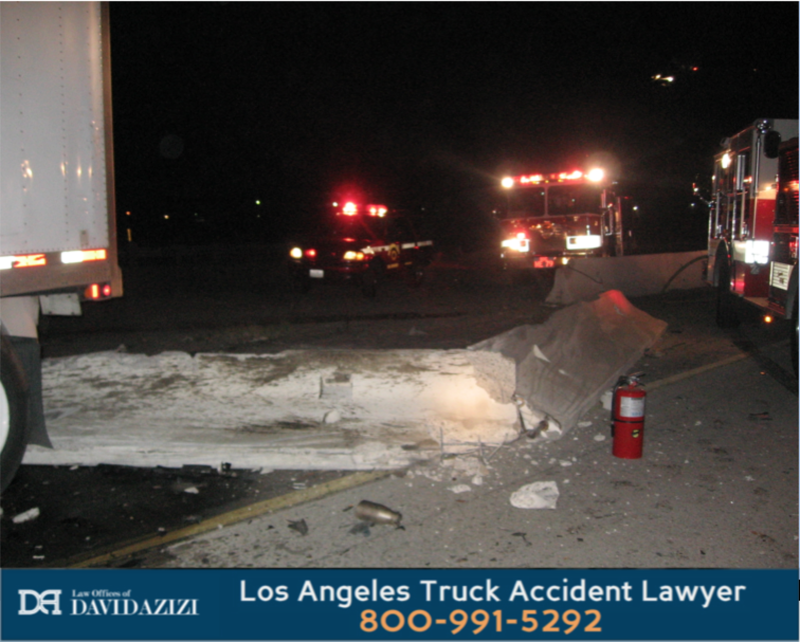 If you need immediate assistance in the aftermath of an accident involving a cargo truck, please reach out 24/7 to the Law Offices of David Azizi by calling 800-991-5292. We are here to help you get justice in this difficult time. What Is A Cargo Truck? A cargo truck is a category of larger trucks that could include delivery trucks, cargo vans and similar vehicles. A cargo truck can refer to the box truck style of vehicle where a tractor pulls a separate container on a trailer, or can mean one large piece of equipment that covers both the engine and driver cab area plus the container carrying the goods. California cargo truck attorney David Azizi went into detail about a case award of $4,532,771 and some of the circumstances that can lead to settlements in these challenging truck crash cases. Accidents involving cargo trucks in the state of California can be brutal and the road to recovery can mean dealing with severe injuries, missed employment income, and ongoing pain and suffering. When a loss of life plays into the case, families are left to find the path to justice and healing. Victims of cargo truck wrecks or accidents with similar vehicles deserve the wrong to be made right in the eyes of the law through financial compensation known in the the court system as damages. Driving a large cargo truck in California requires additional training, a separate commercial driver’s license, and a knowledge of how weight loading and distribution affects these vehicles on the road. A mattress or ladder, two of the most common pieces of cargo found on Southern California freeways, can bring traffic to a complete standstill and even cause fatal accidents as it did in this recent motorcycle and ladder collision. Small passenger vehicles, trucks and vans often fail to secure their cargo in a safe and functional manner. Drivers are responsible for this act of negligence when it causes harm to another vehicle and/or passenger. Big rigs and 18 wheeler cargo truck can haul a much more dangerous payload that includes toxic chemicals, large quantities of lumber, gasoline, and similar freight. Even a simple hay bale that comes loose can create a deadly scenario on California freeways and roads. In this Los Angeles big rig chemical spill, more than 100 people had to be evacuated to a distance far enough from the highly flammable benzyl chloride. Thankfully no one was injured in the incident. The standard of care for the driver of a commercial cargo truck or van is even higher. In most circumstances, these drivers must obtain additional training and hold a commercial drivers license to operate a cargo truck or van. Working in tandem with freight companies, they must ensure that all cargo is properly secured, doors and hitches are properly fastened with tethers that are not worn or under recall, and weight requirements are not exceeded. The fast pace of the freight industry sometimes means safety measures for double-checking a secured cargo are overlooked or even ignored. When this happens, the injured victims we represent in these crashes have every right to pursue money damages from the cargo truck driver and their companies. How Do I File A Lawsuit Against a Cargo Truck Driver? The legal steps to take after an accident with a cargo truck will include initiating a legal complaint against the cargo truck driver and insurers. Because lawsuit filing deadlines — known as the statute of limitations — exist in all cases, it’s important not to delay pursuing justice after a wreck. In this audio podcast, California cargo truck accident lawyer David Azizi tackles the most essential issues about crashes with cargo trucks, 18-wheelers, and other large trucks and commercial vehicles. Play the episode below. How much is it possible to financially recover after an accident with a cargo truck, 18-wheeler, bus, or similar? The cargo truck crash injury calculator can provide an educated guess at a settlement amount and prepare you for a first meeting to review your case with a Los Angeles truck crash law firm. 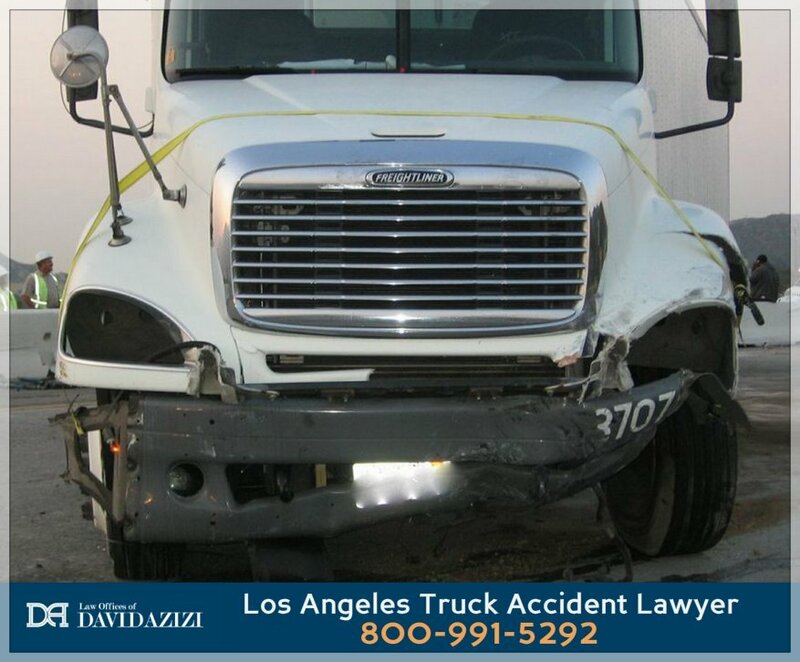 Telling your unique story to a proven Los Angeles truck accident lawyer is a critical first step on the road to legal recovery and justice. Every case must be handled differently and a free case review gives all parties the opportunity to evaluate the facts, ask important questions, build trust, and develop a solid case strategy. When all the details are in place, our cargo truck crash law firm will fight for your justice and the financial compensation you and your loved ones deserve. David Azizi and the Los Angeles truck crash team have built a solid reputation with 98 percent success rate. Call the team at The Law Offices of David Azizi at 800-991-5292 anytime day or night, or fill out the form on this page, and we’ll schedule your free case evaluation right away. We are eager to see each and every client we represent on the path to justice and recovery.